When is Tax Feeedom Day in 2013? Tax Freedom Day is the day when American workers are relieved from the burden of paying for the government and start working for themselves. 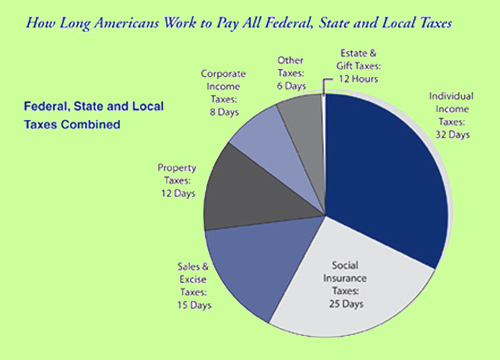 It is a theoretical concept that assumes every dollar earned is first transferred to pay for the federal government obligations, then state and other local liabilities. “Freedom” comes when all required payments are made. It is a form of a personal black Friday excluding all other debt obligations. 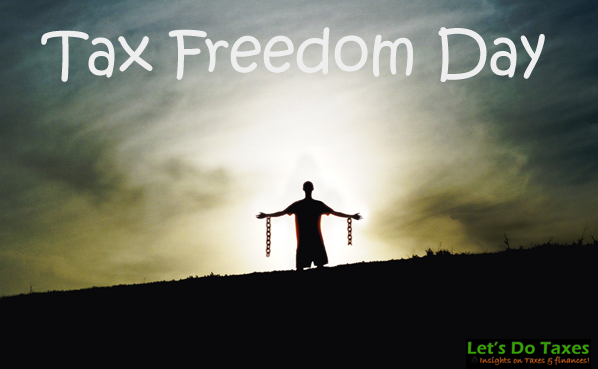 When is Tax Freedom Day in 2013? It is yet to be precisely determined when the day will fall this year, but it will certainly pass last year’s April 17th. In fact, higher personal income taxes and more taxation on all other levels of government this year will possibly push Tax Freedom Day past the previous record of May 1st, 2000. Tax Freedom Day will fall on different dates across America due to numerous differences in tax laws on the state level. 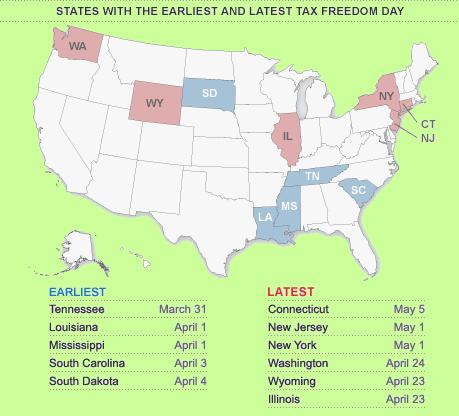 States that celebrated Tax Freedom Day the earliest in 2012 were: Tennessee (March 31), Louisiana and Mississippi (April 1), and South Carolina (April 3). The states with the highest tax burden were: Connecticut (May 5), New York and New Jersey (May 1). This situation will most likely remain very similar this year. How is the date calculated? Tax Freedom Day is calculated by adding up all payments the government collects in a given year and divided by national income. The percentage rate is subsequently converted into days. How does 2013 compare to the historical data? 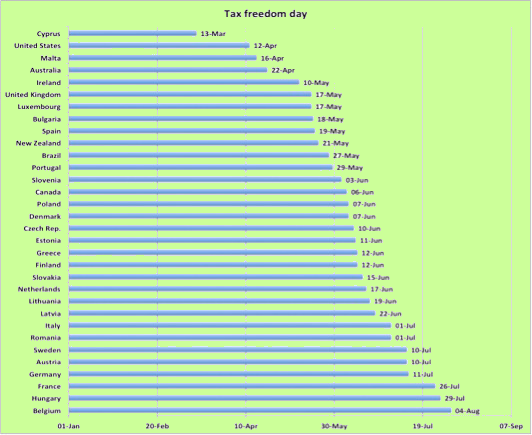 Tax Freedom Day has been steadily going further and further away. With its beginnings in early January, it has been pushed all the way until mid-April. Not even the Great Depression or major wars were able to push it significantly into the future. Tax Freedom Day made it into April in the 1950s and has been there ever since. How does the U.S. compare to other countries? Working until May for the government may be unpleasant but the U.S. does not look bad against other industrialized nations. Canada’s Tax Freedom Day was on June 11 in 2012, which is 6 weeks longer than in the U.S. Similarly to the U.S. the latest-arriving Tax Freedom Day in Canada was in 2000, which fell on June 25. For the member countries of the European Union the picture is even worse. With the exceptions of Malta and Cyprus, the remaining countries enjoy their “freedom” anywhere from mid-May until early August.